Let Renaissance Adventures join your party or event to lead a variety of creative and unique parties for ages 6 – adult. Most activities can be customized to a particular theme or set of challenges, such as allowing the participants to be warriors and wizards, ninjas and samurai, Norse or Greek legends, medieval knights in Charlemagne’s court, or even characters from a favorite book or movie series. We offer a wide range of popular birthday and special events programs in Bellingham, Whatcom County, and other areas in Washington. 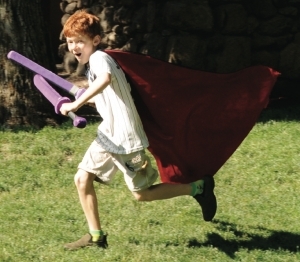 Our offerings include storytelling, imaginative and engaging Adventure Quests, exciting sword games, and treasure hunts! You choose your location and we come in costume with swashers for everyone. All of our events are customizable for children and adults alike.